Erik Cassano is an award-winning writer from Cleveland, Ohio. His works have been published in The Plain Dealer Sunday Magazine and Crain's Cleveland Business. In his full-time job, he is an associate editor for Smart Business Network, a Westlake, Ohio-based chain of business trade publications with editions in nearly 20 cities nationwide. 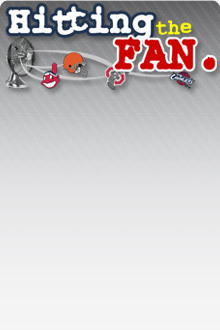 An avid sports fan, Erik lives and dies (mostly dies) with the Browns, Indians and Cavaliers. McCoy: "I'm doing everything I can to get back out there." Answered Prayer Or Praying For An Answer? Leading Off, No. 7, Kenny Lofton! What To Do With Cliff Lee? Is Carlos Boozer Worth It? The Answer For The Cavs? The Best Fans In Football? You Bet. LeBron Likes Us. He Really Does! Does Larry Hughes Want Out? Drew Gooden For Jamal Magloire?